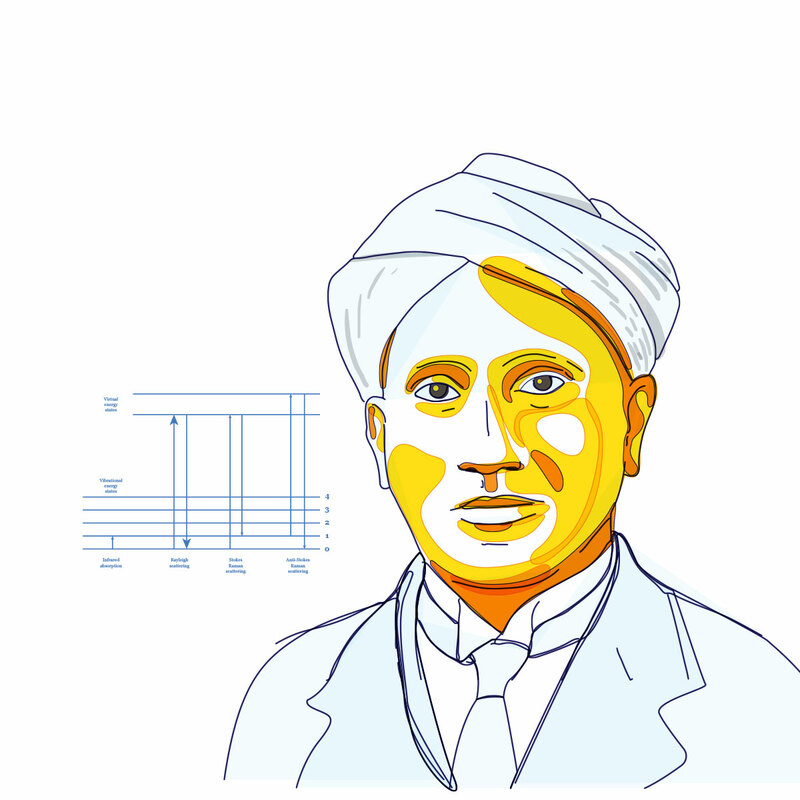 Sir C.V. Raman is best known for his groundbreaking discovery of the ‘Raman effect’, or the inelastic scattering of the photons present in light, when passing through a transparent medium. This inelastic scattering causes a change in the wavelength of the light, and is responsible for the sky and oceans appearing blue to the eyes. Both the Raman effect, as well as the discovery of the quantum photon spin in 1932 by Raman and Suri Bhagavantam, lent further support to the quantum nature of light. Apart from his work on optics, Raman also extensively worked on acoustics. He also worked on the diffraction of light by acoustic waves of ultrasonic and hypersonic frequencies, the effect of X-rays on crystals, spectroscopic behaviour of crystals, as well as the structure and optical properties of numerous iridescent substances. Raman won several awards, notably the Nobel Prize and Bharata Ratna. He served as the first Indian Director of the Indian Institute of Science, Bengaluru; founded the Indian Academy of Sciences, Bengaluru and later the Raman Research Institute in Bengaluru in 1948. We must teach science in the mother tongue. Otherwise, science will become a highbrow activity. It will not be an activity in which all people can participate.